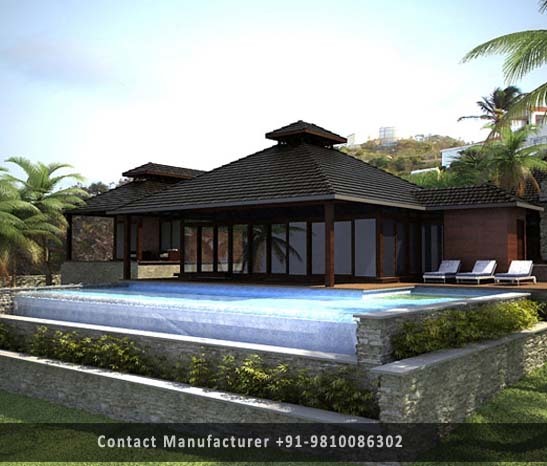 Prefab Resorts Manufacturer in Delhi, Prefab Resorts Supplier in Delhi, Prefab Resorts in Delhi. Our range of Prefab Buildings for Resorts enhances the look of the hotels providing an elegant look to the area. These Prefab Resorts are constructed of steel, cement boards, GI profile material, bolt nuts and screws. The Prefab Resorts buildings are designed in compliance with the requirements of the customers. These Products are highly durable in adverse climatic conditions such as rain, water, seaside salty waves due to non corrosive, waterproof, fireproof, termite proof material.